Many educators recognize the deeper field of learning created from integrating, rather than isolating academic content areas. The wisdom of this approach echoes the systemic wisdom of nature, is rooted in ancient, classical education, and has been a unique feature of Waldorf schooling since its beginnings in the early 20th century. Thematic Lessons invite students to dive deeply into a topic, and into a meaningful encounter with the passion, wisdom, and knowledge of their Thematic Lesson teacher. TL presentations are not derived from a textbook. Concepts and topics are introduced to students through direct experience of phenomena, or are presented using primary sources shared through the teacher’s unique, authentic voice, and ensouled understanding of the subject matter. In this way, thematics offer an opportunity for holistic understanding- inter-being between teacher, student and subject matter. Thematic Lessons are offered in 1.5 - 2 hour class sessions each morning, after morning circle or SOLA Forum & Council activities. The extended lesson period provides the learning spaciousness within which patterns and meaning can organically emerge in the student's awareness. Topics are often cross-disciplinary and content areas can include sciences, math, history, geography, social/cultural studies, language arts, humanities, & philosophy. Themes change every 4-6 weeks, with a total of 6-8 themes covered during a programming year. Student work and learning during TL blocks can be 'captured' in many ways. Work may be entered into Thematic Lesson book. 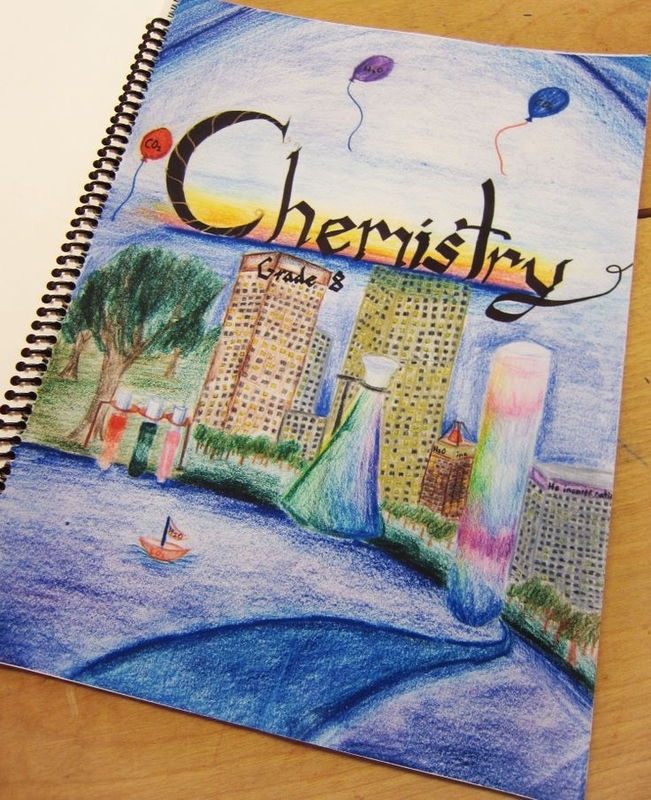 These student-made journals are richly illustrated, and contain compositions, diagrams, timelines, maps, field guides and more. They become the student's resource for review before an end-of-block quiz or test, and also an archival record of their learning experience within each theme. TL learning can also expressed through student projects or presentations. Students may be asked to share their own wisdoms and experience of a topic by offering a presentation to their fellow students and teacher. In this way, students have the experience of 'teaching as learning'. Depending on the thematic topic, students may be offered an option to present their learning through digital or multi-media formats, such as theatrical reenactments, or show-and-share, lecture style presentations. All presentation methods will enrich the student’s confidence and public presentation skills, deepen their understanding, and, in the 9-12th grades, can be included in the student's graduation portfolio. Thematic Lessons typically generate a moderate amount of independent/homework, as most learning is intended to be relational, face to face during class time, with teachers and students present. An exception to this may be made when a student is making up work due to absence, conducting research for a project, or completing lesson book essays or drawings that couldn't be completed during class or study periods.